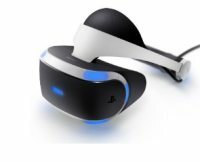 Sunday 21 Apr - Latest - The Playstation VR is currently in good supply throughout the U.S. Here at Stock Informer we constantly track for stock which ensures you will be the first to know when availability is found. The PlayStation VR allows you to step into a new world of virtual reality gaming with a stunning 1080p OLED display and 3D sound allowing sounds to appear to come from different directions all around you. A tremendous amount of research and development has been invested by Sony into making the PlayStation VR a must have item for all PS4 Console owners. To use the headset, as well as a PS4 console you will also require the camera and Dualshock 4 controller (included with every console). Optionally you can also use the PlayStation Move motion controllers to enhance the experience. The headset has numerous adjustments making it one of the most comfortable virtual reality headsets on the market even with users who require glasses. The Launch Bundle includes the headset and also the PlayStation Camera, 2 PlayStation Move motion controllers, and PlayStation VR Worlds Game. 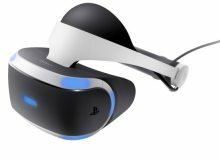 Where can I find PlayStation VR stock? Use our unique stock listings to locate stock as soon as it becomes available at our panel of top US retailers. Our servers are constantly checking for stock to ensure you are the first to know when availability is found. During busy periods Playstation VR stock can literally sell out in minutes, it is therefore crucial you know quickly when stock is available to buy before it sells out. We constantly check for PlayStation VR stock, so you don't have to. Receive email alerts when PlayStation VR online stock is found.